Held in partnership with WFYI. Nicholas Whitaker (@nickdigital) is the Training and Development Manager at the Google News Lab — a global team dedicated to working with journalists to provide training, collaborate on industry challenges, and support innovation in the newsroom. 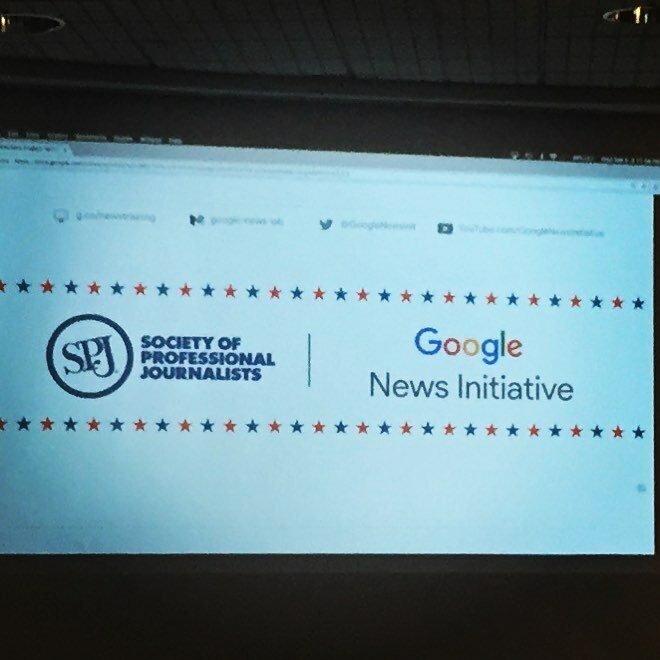 The News Lab forms part of the Google News Initiative, an effort to work with the news industry to help journalism thrive in the digital age. Nicholas has been at Google for over 7 years, providing in-person training and educational programs, as well as adult-online learning initiatives, reaching more than half a million journalists worldwide. Before joining Google in 2010 Nicholas spent the prior decade producing, directing, editing, and shooting videos and still images for news, commercial, entertainment and advocacy media while also teaching courses in video production, new media, and communication theory as an adjunct professor at Eugene Lang College — The New School for Liberal Arts, and Marymount Manhattan College in New York City. Nicholas earned a BA from The New School University with a focus in documentary film production and media theory, and an MA from New York University where he specialized in new media and the history of propaganda in political communication. 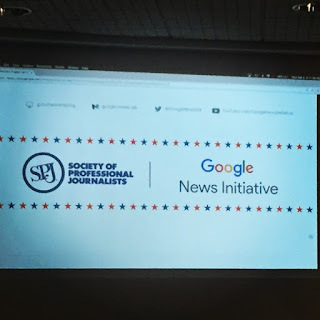 Sam Stewart (@samsends) is a journalist and media technologist based in California and is a program manager for the SPJ Training Program in partnership with the Google News Initiative which has trained over 17,000 US journalists since 2016. Prior, he was awarded a Knight Foundation Prototype Grant for his innovative work in verification of visual content for journalism and was also selected as a Stanford University John S. Knight Journalism Fellow where his research focused on countering misinformation through technology. His prior work includes senior managing and editing roles at Aol News, Agence France-Presse, The Arizona Republic, and he was also selected as the US Department of State’s 189th Franklin Fellow, serving as a media expert providing strategic advising on media outreach and audience engagement. He holds an MBA from Central European University and both a Master’s and Bachelor’s degree from Arizona State University’s Cronkite School of Journalism. Alison Bethel McKenzie (@bethelmckenzie) is executive director of the Society of Professional Journalists, the nation’s most broad-based journalism organization dedicated to encouraging the free practice of journalism and stimulating high standards of ethical behavior. Bethel McKenzie has more than 30 years of experience as an award-winning reporter, bureau chief, senior editor and media trainer. She has worked in senior-level positions at The Boston Globe, The Detroit News, Legal Times and The Nassau Guardian in the Bahamas. She also spent a year in Accra, Ghana, working for the Washington, D.C.-based International Center for Journalists as a Knight International Journalism Fellow. In August 2009, she joined the International Press Institute, based in Vienna, Austria, as deputy director before becoming the institute’s Executive Director a year later. Bethel McKenzie also has worked at The Miami Herald, the Los Angeles Times, Poughkeepsie Journal and the now-defunct State Times in Baton Rouge, Louisiana. From July 2016 to May 2017, Bethel McKenzie served as a visiting professor of print and investigative journalism for the Indian Institute of Journalism & New Media in Bangalore, India.